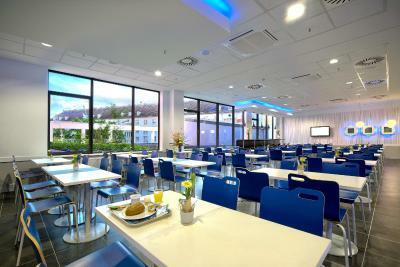 Lock in a great price for ibis budget Dresden City – rated 8.2 by recent guests! 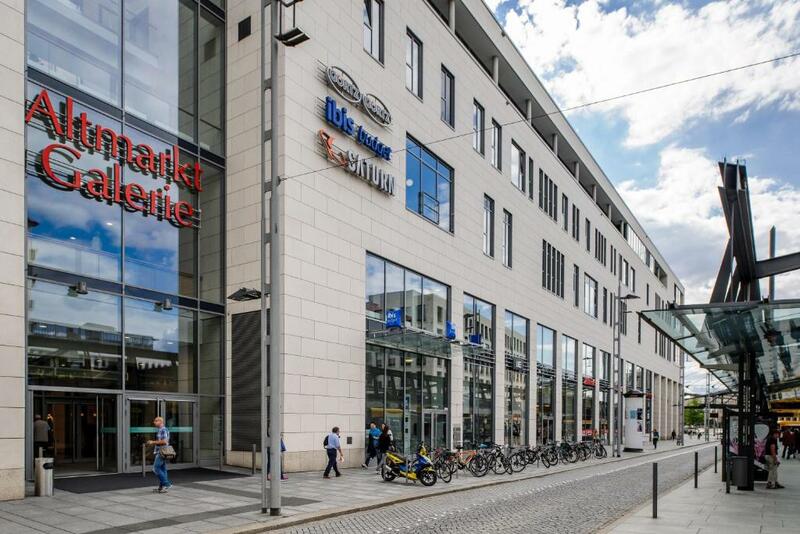 Great location, next to tram station, supermarket and old town is in 5 minutes walk distance. Excellent value for money. It is an excellently run hotel. The room was very tidy and well designed. 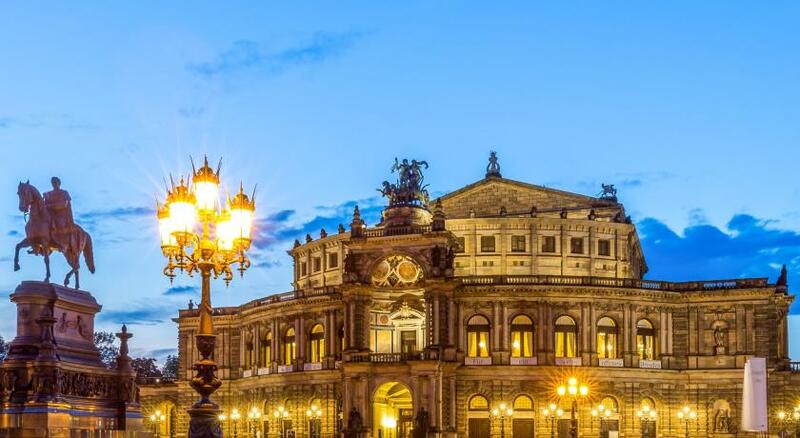 The location is excellent being just a stroll form the old city. Would definitely stay here again. Great location really at the door of all the must-see places. Polite and friendly staff. Comfortable bed. I'm a big fan of these hotels because, although the rooms are uninspiring, every aspect that really matters is so good: great bed, shower, WIFI and there's no need to check out. It is perfect in terms of location, price and facilities. We spend one night there, and we had a very nice rest. The room is small but it has everything you need. From the hotel you can go by walk to most of the attractions Ps: i suggest to take the breakfast, it's not so expensive and its very complete. The room was clean and have air-conditioning. The breakfast was good, but nothing special. 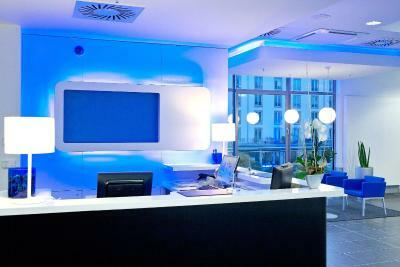 Very good design of the hotel room, security coding, it is gust friendly, the green room make you feel calm. it is small room but the design makes it not crowded. Air conditioning helps a lot in such hot summer. It is just located in between the old city and modern Shopping center. Well connected to the rail way station where is also the place to take long distance bus. It is fantastic that the hotel also rent bicycle. 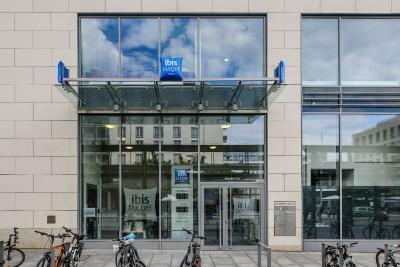 ibis budget Dresden City This rating is a reflection of how the property compares to the industry standard when it comes to price, facilities and services available. It's based on a self-evaluation by the property. Use this rating to help choose your stay! 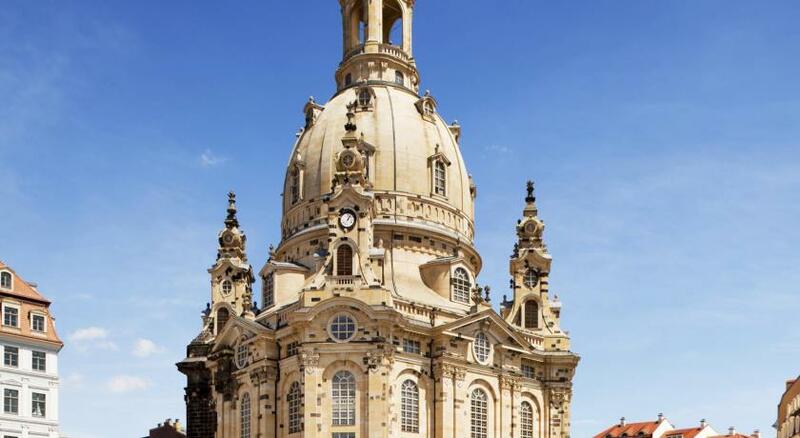 This nonsmoking hotel is located in the heart of Dresden, a 5-minute walk from the Zwinger Palace, Semper Opera and Frauenkirche Church. 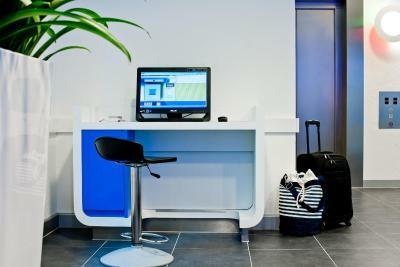 The ibis Budget offers free Wi-Fi and a 24-hour reception. 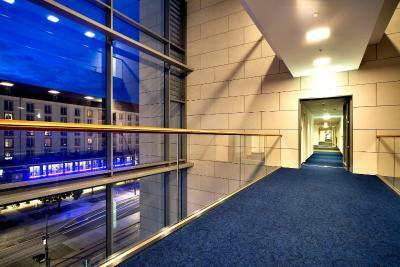 The hotel is located in the Altmarkt-Galerie shopping center, and is surrounded by shops and restaurants. 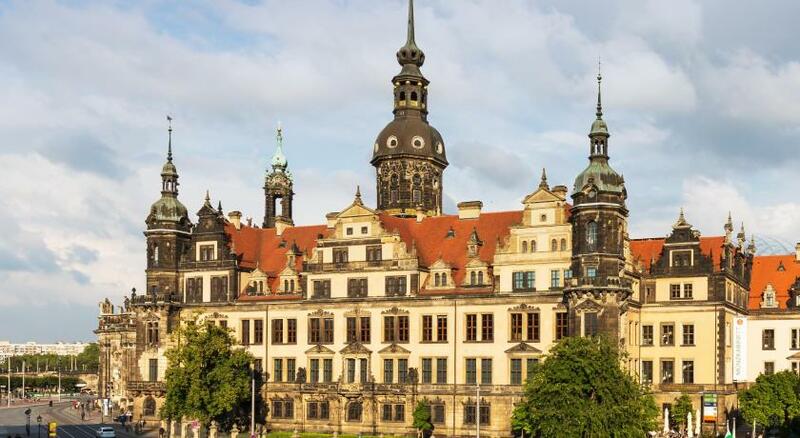 It is 150 feet from Altmarkt tram stop and 1,650 feet from the River Elbe. 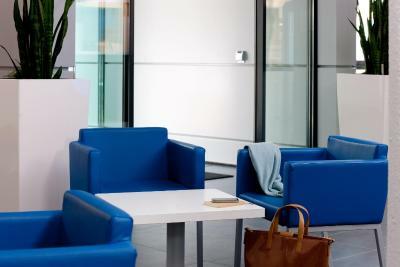 When would you like to stay at ibis budget Dresden City? Air-conditioned room with satellite TV, free WiFi and a private bathroom with shower. 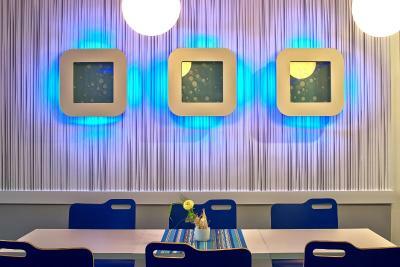 House Rules ibis budget Dresden City takes special requests – add in the next step! 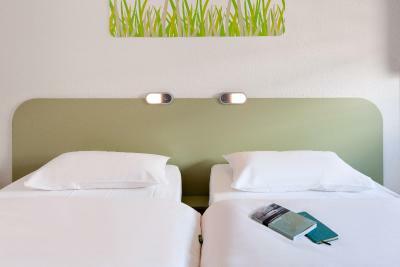 ibis budget Dresden City accepts these cards and reserves the right to temporarily hold an amount prior to arrival. Guests arriving by car can drive to the TG Altmarkt (not the TG Altmarktgalerie), 500 feet from the hotel. 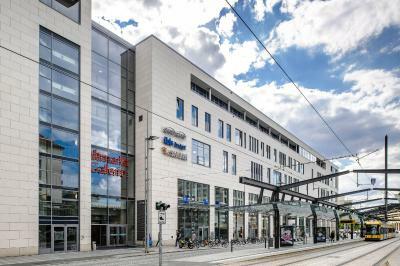 If guests bring their luggage and parking ticket, the hotel will offer a parking discount from EUR 25 to EUR 15 (per 24 hours). 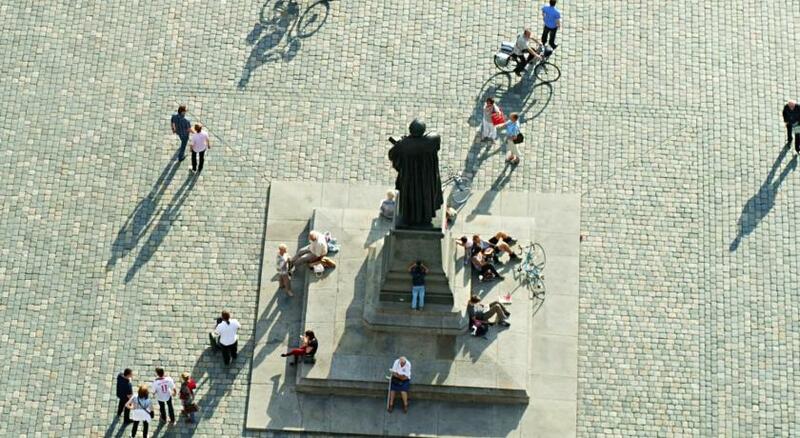 Cheaper parking is available at the Annenkirche, 1,300 feet from the hotel. This costs EUR 3 per 24 hours or is also free from 20:00 and 08:00 as well as all day on Sundays and public holidays. Really tiny rooms, breakfast was packed with a lot of people. Would consider mote tables for guests. Shower is just directly in the room only the toilet is separated. 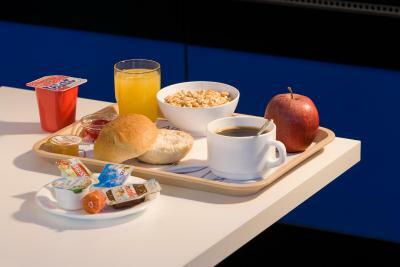 Good location, clean rooms, breakfast with good choice and replenished regularly. The receptionist was quite rude, beds super hard and the pin code on the door kept failing. I've had better breakfasts than this! Even at low costs hotels. The light was on in the toilet all the time. The hotel has a good location.The layout of the room is smart and simple Smart and simple. The WiFi is very good. Great location in the heart of the town, 5 min walk to every attraction! 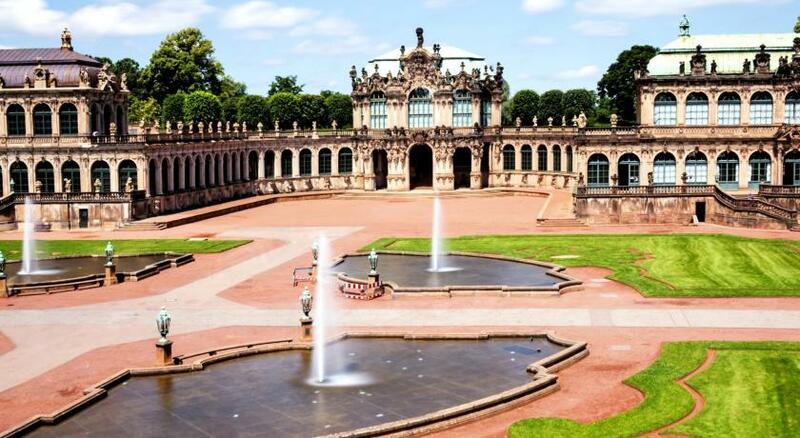 15 min walk to Central train station, 4 tramway stops from Neustadt train station. Ergonomic room, cosy bed, very quiet and clean. Friendly and helpful stuff. The location is fantastic, within short walking distance from everything. The room (4027) wasn´t on the street side and was very quiet even with the window open. 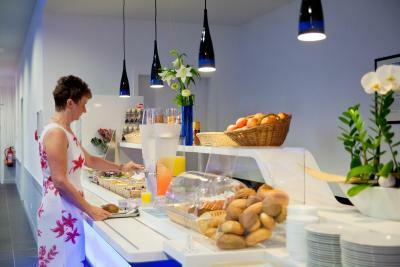 The night check-in staff on Friday was extremely nice and helpful and also the breakfast staff. Bed was comfortable, small but convenient room. Check in and out was easy and fast. 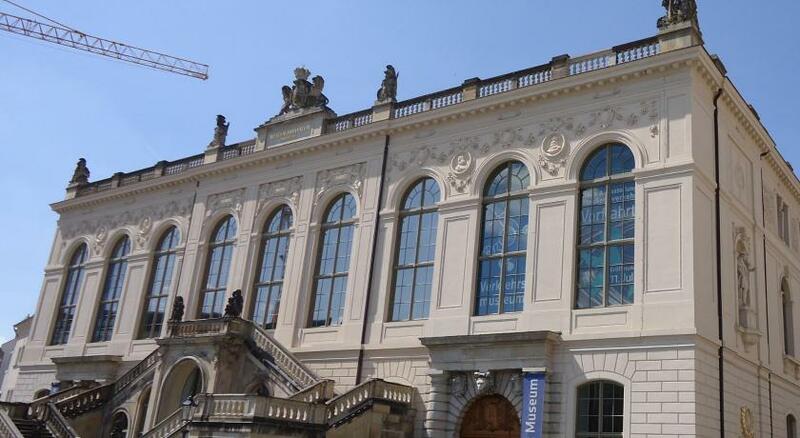 Great location in the heart of Dresden Altstadt, just next door from Altmarkt Galerie. The room is very simply furnished, bud you have everything you need for an overnight stay. I would not recomend this room for somebody who plan to stay in the room a lot. 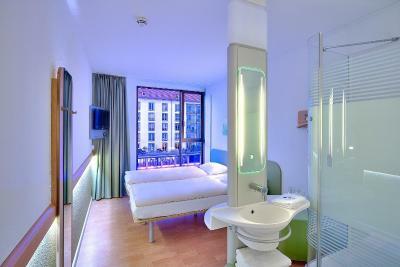 But on the other hand you have everything you need for a comfortable overnight stay after long shoping or sightseeing day. The room resembles a ferry cabin a bit and the matrasses are quite hard but I am fine with that. The breakfast bufet was simple but fresh and good. 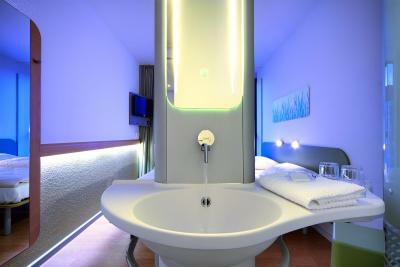 Even if it is mentioned in booking, the 'bathroom' within the room is very surprising and can be very unpleasent depending who you are travelling with. The room is small. Cleanliness not always at the right level. Breakfast is basic and staff professional. No check-out, so you need to pay when ariving and you only get a code for the door. Price is high for this standard. Next time it will be a standard Ibis (green or red sign) at a minimum. The hotel is close to the center. Everything was good! 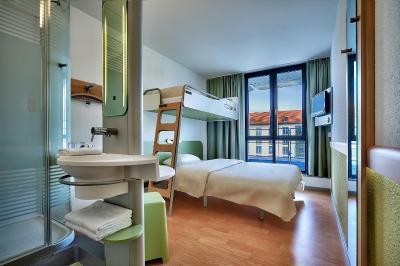 Clean and comfy room, perfect place to stay for a few days; not too far from main train station, perfect for sightseeing. Helpful staff.